Music • "In Retrospect" gives students a hands-on chance to learn about music business. 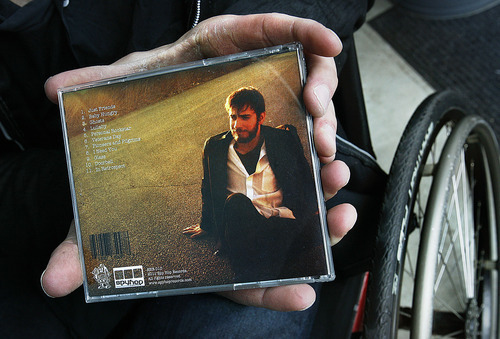 Scott Sommerdorf | The Salt Lake Tribune Joel Brown, a University of Utah student who has had his new album produced by Spy Hop Records, holds the cd case showing the back of his new album. Joel has been paralyzed since he was 9. Scott Sommerdorf | The Salt Lake Tribune Joel Brown is a University of Utah student who has had his new album produced by Spy Hop Records, a student-run label. 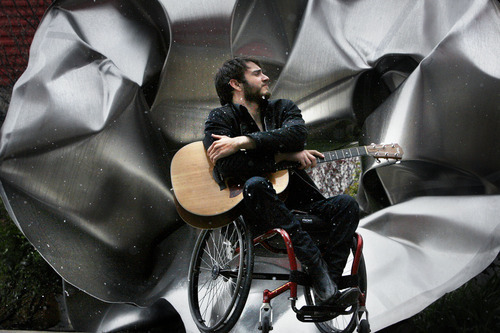 Joel has been paralyzed since he was 9 but still manages to make music, Friday, April 29 2011. Scott Sommerdorf | The Salt Lake Tribune Joel Brown, a University of Utah student who has had his new album produced by Spy Hop Records, poses in a halway at Spy Hop, Friday, April 29 2011. Scott Sommerdorf | The Salt Lake Tribune Joel Brown, a University of Utah student who has had his new album produced by Spy Hop Records, poses during snow flurry in front of a metallic sculpture in the plaza at Spy Hop Records, Friday, April 29, 2011. That Joel Brown uses a wheelchair is the least interesting fact about the musician's life. More interesting is that the 22-year-old University of Utah junior and singer-songwriter is part of a win-win situation: He has recorded a brave, soul-baring album, the 10th CD released by local Spy Hop Records since the student-run label's inception three years ago. "The album is not a 'woe-is-me-I'm-in-a-wheelchair' [record], because that's not true," said Brown, a Magna resident. The release is a landmark for Brown, and also for the local record label that grew out of the Loud & Clear Audio Program class of Spy Hop Productions, a nonprofit after-school youth media arts and education center. Launched in 2008, the class was designed to create a independent record label to produce, distribute and promote local unsigned bands. This year's class of eight have sought and developed musicians, while building business and creative skills, and are planning to release four albums. Brown fit the bill as a young musician who needed a platform, said musical arts instructor Jeremy Chatelain. "The first time I heard him, I could really hear the emotion," said Renzo Miera, 19, a Highland High School graduate and student in the class who focused on recording Brown's songs in Spy Hop's studio. "He could tell the story of his life and tell you how [events] impacted his life, and it impacts you, too." Chatelain said he and the class decided to sign Brown because of his artistry and professionalism. "He's pretty serious about his art," Chatelain said. "He has his eye on the prize." Brown came to the attention of Spy Hop when he began performing at the center's Friday open-mic nights in 2009. Soon after, Chatelain and his students made Brown an offer: If he would sign a yearlong contract, they'd pay for recording, art design and marketing. As the class gained experience, they would release the album to online retailers and local record stores. Sales revenue would cover the nonprofit's costs, estimated between $1,000 to $1,500. After recouping those costs, Spy Hop and Brown would split any profits. At first, Brown said, he was wary about going into business with a bunch of teenagers, but figured he had nothing to lose. He would get the chance to release a professional-looking and professional-sounding album, and the class would learn about the record business. "This label has given me complete artistic control," he said. "And they don't want any money [from me]." 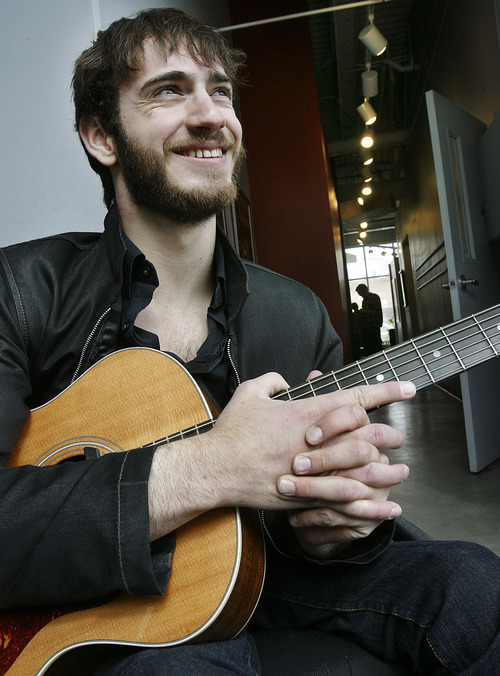 Brown's album, "In Retrospect," is anchored by the musician's acoustic guitar. It's a largely autobiographical collection of songs about love, lost love, family and the car accident at age 9 that severed Brown's spinal cord and left him paralyzed from his chest down  excluding his arms and fingers. 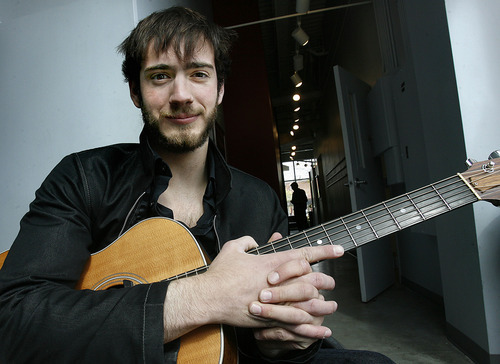 A dancer before the accident, Brown turned to the guitar to express himself in one of the few ways he physically still could. "I'm pleased to say that I'm proud of it," he said. "I think it's a work of art." Singer-songwriter Joel Brown will perform. When • Tuesday, May 10, at 7:30 p.m.
Where • University of Utah's Dumke Recital Hall, 1375 E. Presidents Circle, Salt Lake City.